Don’t you love quilt retreats? I I do know that I do not get to go on enough of them. This past weekend one of the gals in my office went on her bi-annual retreat with the same group that she has been retreating with for over 25 years. She brought this Quilt Acronym game in to work. I am sure you have seen this all over the internet but I thought I would share with you here. agreement on the precise definition of various names for such abbreviations. Can you fill in the answers above? and test your fellow quilters knowledge. Here is link to the answers . I hope you had fun exercising the brain. Now get back to quilting. I knew many, had to cheat for the rest. What is 'WOW'? Thanks for this, I printed it out for my little guild. I'm leading the next meeting, and this will be fun to use. Got it, White on White! 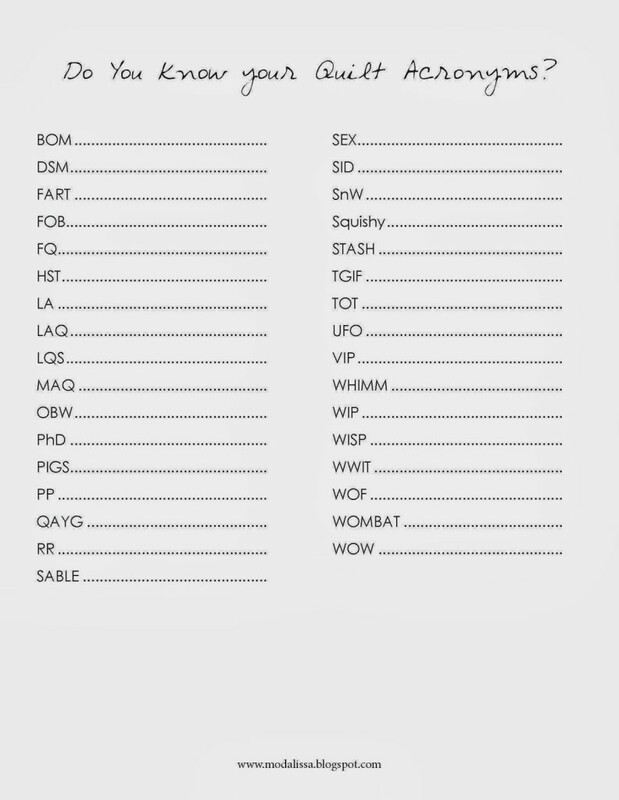 Thanks for the great list of acronyms! Now I have an acronym for my quilting style–WISP! I suffer from chronic startitis so I have a lot of WISPs. Thanks for the quiz! 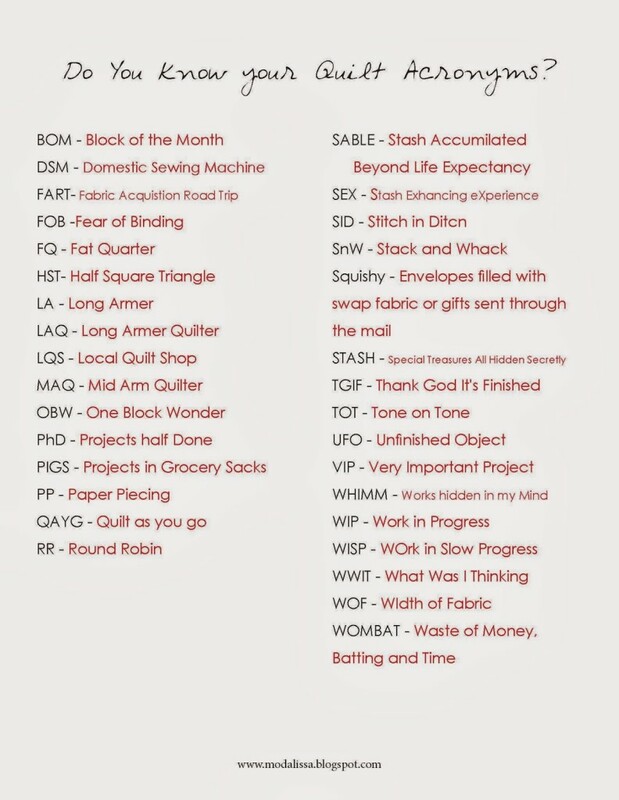 I'm attending a small quilt group meeting on Saturday so it will be fun to see how many quilting acronyms my friends know. Tristar Electrical Services is the residential and commercial electrical specialist in Temecula and can help you with all manner of electrical repair, upgrade or installation including: troubleshooting, safety inspections, fuse box to circuit breaker upgrades, capacity upgrades, lighting, residential rewiring, and outdoor electrics. Whether a one time problem, project, or on-going preventative maintenance relationship you'll be satisfied with our service.